onthesea had the most liked content! Brazil's CBS Telenoticias reports on the 5000th show of The Price is Right in April 1998. Infro of TSR's midday news in September 2002, presented by Emmanuelle Bressan. The intro of Italia 1's Studio Aperto, used between 1996 and 2002. Most of an edition of New Zealand's TV2 Eyewitness News in 1986 with Angela D'Audney in Auckland and Lindsay Perigo in Wellington. Also from 1986: an excerpt of HSV7's former current affairs show Day by Day, hosted by Mark Day. The show was canceled in 1987 when HSV7 was purchased by Fairfax. Day by Day was replaced by Terry Willesee Tonight, produced out of ATN7 Sydney. Part of the midday edition of Radio-Canada's Le Téléjournal in July 2007, anchored by Claudine Bourbonnais. Final seconds of the midday edition of Nuevediario in 1991, presented by Mabel Marchesini, Juan Jose Maderna and Sergio de Caro. A compilation of STV's Scotland Today intros from 1988 until 2009. A 5-minute Nine Newsbreak with Jo Hall in July 1998. 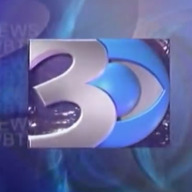 These short news bulletins used to air during primetime. NBC's Today Show's visit to Buenos Aires in February 1986 made headlines in the city. Here's a report from Franco Salomone (then with Canal 9's Nuevediario) where he interviews hosts Willard Scott, Jane Pauley and Bryant Gumbel. I just realized that I didn't post it on the International section. Sorry about that. An old ID from WNDS in Derry, NH in the late 1990s, when the station's slogan was "The Winds of New England". Includes the intros of TV classics Ironside and The Bold Ones. An old intro of an Argentine variety show called Estudio Philips, that aired on ATC in 1984, presented by Uruguayan broadcaster Juan Carlos Mareco. The studio orchestra was conducted by Raúl Parentella, who also composed a couple of news themes. Ironically, the program's intro was voiced by Daniel Ruiz, Canal 13's main announcer since 1974. CFCF in Montreal signing off in 1985. A closer from Les Nouvelles TVA in 1985 with Jacques Moisan. Plus, the full theme used by the newscast in the early 1980s! A promo and a CFTM news update in December 1988. Ici Montreal was the name of the local newscasts that aired on CFTM at the time. An "emotional" promo of Grupo Clarín to promote the launch of its new logo in May 2000. Clarín is the largest media conglomerate in Argentina: it owns several TV stations, a cable company, newspapers, magazines and radio stations. This commercial aired on Canal 13, owned by Clarín itself! First minutes of TVA's Les Nouvelles in September 1983. No intro and no music: it goes straight to the presentation of the first story from anchor Jacques Moisan, similar to the CBS Evening News at the time. Also from September 1983, it's Radio-Canada's Le Téléjournal with Jean Ducharme. ATN7's weekend edition of Seven National News with Paul Marshall from May 1983. A snippet of WBZ's talent show "Community Auditions" with Dave Maynard in 1981. A full edition of Venture, CBC's business magazine hosted by Dianne Buckner from 2002. BBC2 ident and intro of Ski Sunday from New Year's Day, 1989.